Transport Canada was aware of a potential problem with ignition switches in the Chevrolet Cobalt eight months before General Motors Canada issued a recall notice for the deadly defect, CBC's the fifth estate has learned. General Motors has so far accepted 29 wrongful death claims related to the ignition switch failure in the U.S. and Canada. In all, it has received claims for more than 150 deaths. One Canadian death has been linked to the defect. But an investigation by the fifth estate and Radio-Canada&apos;s Enquetereveals that the faulty GM ignition switch is being probed as the "probable explanation" of a second fatal crash that occurred in Quebec just over one month after the recall. General Motors has acknowledged that a defect in the ignition switch in hundreds of thousands of its vehicles caused the ignition to inadvertently move from the "Run" to "Accessory" position, causing the vehicle to stall and preventing the airbag from deploying in a crash. Transport Minister Lisa Raitt told Parliament last May that her department, "was not aware of an ignition switch issue prior to receiving its first notice from GM Canada" in February 2014. But government documents, safety records and crash reports unearthed by the fifth estate and Enquete suggest that may not be accurate. Dany Dubuc-Marquis, 23, was killed on June 22, 2013, on a highway near Roxton Pond, Que., after his 2007 Chevy Cobalt left the road and slammed into some trees. The driver-side airbag in the Cobalt failed to deploy. GM has stated one of the 29 deaths linked to the ignition defect took place in Canada, but has never confirmed if it was the Dubuc-Marquis crash. Dany&apos;s father, Normand Dubuc, had told Transport Canada his son had been drinking heavily with friends that night. But when he saw the fatal wreck, Dubuc also noticed something that troubled him. "I told the police the airbags didn&apos;t deploy," Dubuc says in the exclusive CBC report. "There’s something not normal with that. They also found it wasn’t normal." According to a Transport Canada investigation log obtained by the fifth estate and Enquete, the department opened an investigation three days after the crash — on June 25, 2013 — and soon discovered an issue with the ignition switch. Then on July 10 there was an internal telephone call, “to discuss the possible influence on the airbag system of the ignition switch in Accessory position,” according to the Transport Canada logs. The documents obtained by the fifth estate and Enquete through Access to Information show that Transport Canada eventually determined that at some point after Dubuc-Marquis&apos;s Cobalt left the road — but during what Transport Canada called "the collision event" — the ignition somehow moved from "Run" to "Accessory." Kash Ram, director general of road safety and motor vehicle regulation at Transport Canada, says the department looked into various reasons why the key in the ignition switch could have moved. "At the time it was reasonable to believe that one contributor could’ve been a bumping of the switch. We have seen that before in a number of cases,” Ram told the fifth estate’s Bob McKeown. However, Transport Canada dropped its investigation into the Quebec crash that summer, and the Cobalt was sent to a scrap yard. It wasn’t until after GM announced the recall in February 2014 that Transport Canada recovered the vehicle and further investigated the crash. Raitt told CBC’s Amanda Lang on Wednesday that her understanding was that investigators and Quebec police looked into the case and “after a while it was determined that perhaps there was something involved with the victim in terms of the airbag not deploying, or the ignition switch having an effect on that." Raitt said that "our people did take a look" at the case and that there were "a number of other complaints, too, that are in the process of being investigated by Transport Canada." She said all of that information would be used by local police investigating cases. The fifth estate program describes how investigators in the United States who worked for the family of one of the crash victims in Georgia kept pursuing the connection between the ignition switch defect and the fatal accidents. They discovered that GM had secretly switched the defective part in new models of the cars without telling anyone. Transport Canada apparently didn&apos;t pursue that angle. As for exactly when GM Canada became aware of the defect, Raitt has told the House of Commons that, "we do not have information as to whether" GM Canada knew of the fatal defect before the public recall last February. But the internal Transport Canada investigation documents obtained by the fifth estate and Enquete reveal that the federal regulator passed on details of the Dubuc-Marquis investigation to General Motors in October 2013 — five months before the recall. GM Canada CEO Kevin Williams declined the fifth estate’s interview request. 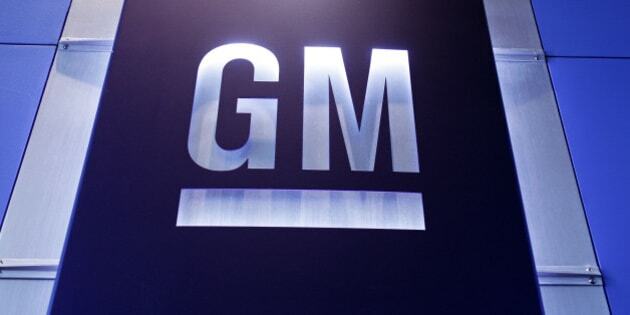 In a written response, GM Canada said it, “participated in company meetings in mid-December 2013, when the ignition switch issue was raised” — two months before the recall was announced. What’s more, in 2005 GM in the U.S. and Canada issued a service bulletin to dealers informing them that the ignition key in vehicles including the Chevy Cobalt, Saturn Ion and the Pontiac Pursuit could be inadvertently rotated out of the "Run" to the "Accessory" position. The Pursuit was a vehicle only sold in Canada, so GM Canada had to know about the problem. But at the time GM didn’t view the issue as a safety defect, and so consumers and regulators were never informed. In the U.S., the government can order a recall of dangerous vehicles, but Transport Canada does not have that power — it can only request that companies do so and take them to court if they don’t. "I think that’s an issue we are struggling with right now," Raitt told CBC Wednesday. “"Of course auto companies don’t want ministers to have those kinds of powers." Raitt said it’s an area her department is looking into in an effort to better protect the "safety and security" of Canadians. She said she expected to talk more about the issue in the weeks ahead but offered no specifics on what changes might be coming. "The problem is that in North America safety is not job No. 1 for any of the car companies, and any of the regulatory agencies here in the U.S. or Canada are not up to the job of policing the auto industry," says Clarence Ditlow of the U.S. Center for Auto Safety. "And when it comes to recalls, it looks like Canada is a hand-me-down country."